For a light layer that can be worn before the action heats up pull on this Puma FtbINXT 1/4 Zip Football Training Top in Black and Red Blast. 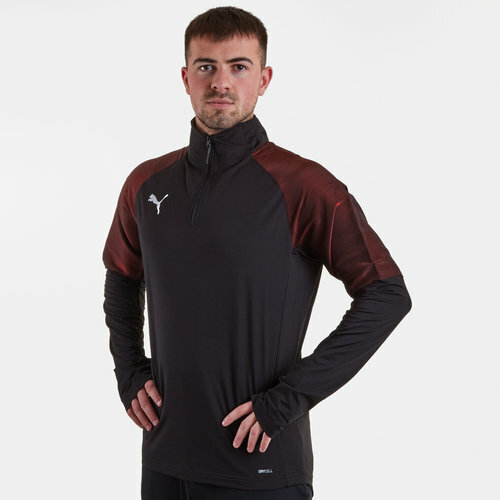 This training 1/4 zip from Puma has been designed to improve your training by sitting close to the skin without limiting range of motion which results in unrestricted movement during the intense sessions you may find yourself in. As with most Puma products, this top has been designed with Puma's DryCell technology which helps to wick sweat keeping you cool and comfortable.